I know, I know. I don’t really look all that pregnant in this photo do I? 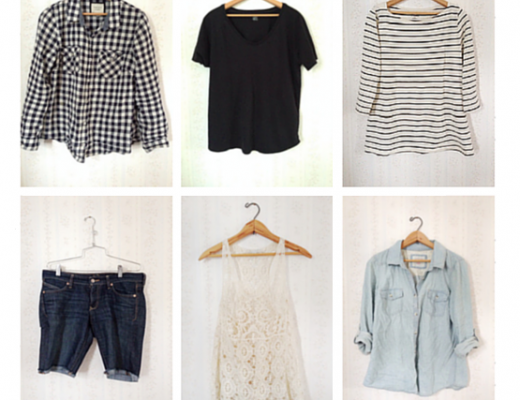 Why am I writing about how to create a maternity capsule wardrobe? Well, this was a couple weeks ago already. Just wait until you see my belly on my next pregnancy update post… I’ve grown a bit to say the least. So, lots of people seem to be impressed with the fact that I’ve been successful in pulling off this whole capsule wardrobe thing in general (again, not an original idea on my part — I’ve been mostly inspired by UnFancy). But, you should see the eyebrows on folks when they learn that I’ve continued with it while pregnant. They’re like upside down, capital “U” ‘s. Now I won’t lie and say that I didn’t have my own reservations, I had many, BUT once I really began to break down the anatomy of a capsule wardrobe — it’s core purpose and essence — a capsule maternity wardrobe seemed almost an even better idea than capsule wardrobe for the average sized me. That being said, I still totally sympathize with all those capital “U” shaped eyebrows and acknowledge the very present intimidation factor in trying to accomplish a maternity capsule wardrobe. So, I’m sharing the top 5 tips I used that I believe were essential in allowing me to create a killer maternity capsule wardrobe. 1. Mix and match maternity and non-maternity pieces. I realize I’m not being revolutionary here. Any run of the mill maternity fashion piece you will read will tell you to do the same thing — but I think the secret key here is to plan for this. As in don’t just buy maternity pieces and buy non-maternity pieces and figure out how they go together after the fact. Sure sometimes you’ll be successful in doing that, I’ve come up with a couple outfits already that I didn’t originally plan for, but largely it takes a little more forethought to make this mixing and matching process sing. 2. When picking maternity pieces — pick super versatile, neutral and staple pieces. There are plenty out there to choose from, maybe even too many. But there are also plenty of special occasion or just too particular of pieces out there as well. I made the mistake of buying a couple of these for everyday wear during my first pregnancy. I am happy to say I did not make that mistake again. Tunics like this and dresses like this are a must. They are great pieces for layering, neutral in color and pattern, and would be considered staples in any regular wardrobe. (I am even considering altering them postpartum to non-maternity shape…) It is also worth noting that these pieces are where you may want to invest a little more money into — considering how often they will be worn, you want them to be able to take a beating! 3. When picking non-maternity pieces — pick good layering options and pieces that elongate your frame but allow for growth. All this can obviously be tricky, but sweaters and button downs are my go-to for here. Boyfriend length sweaters and drape cardigans are perfect because they help elongate the frame and are still really versatile — whether paring them with leggings, skinnies or dresses. Button downs, similarly, can take on many forms whether buttoned, unbuttoned or knotted above the bump. This flannel button down has been on repeat since the start of the fall season, along with my trusty chambray. 4. Have fun with shoes. 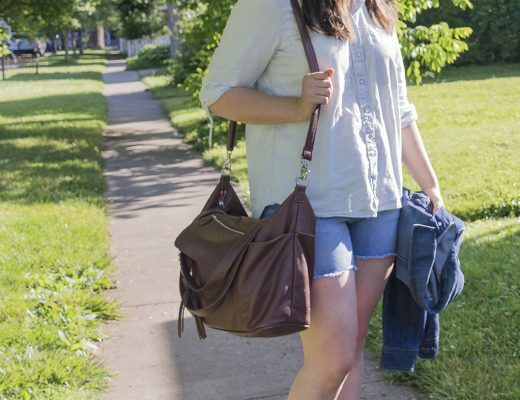 Since your feet are one of the few things not rapidly changing in size and shape, they are an excellent outlet for variety when creating a capsule wardrobe. A simple swap of your “kicks” and you’ve gone from errand running to dinner with your main squeeze all without changing any other components of your outfit. I’m no fan of heels for the everyday, but a low one, like this one on my fav chelsea booties, proves form and function can coexist. 5. Balance basic solids with pattern and texture. The last thing you want to end up doing is wearing all black, all day, everyday. (Yes, I know I’m wearing almost all black in the above pictured outfit. It works though, right?) So while you may be keeping your maternity pieces to basic neutrals like black and white, remember to add some color, pattern and texture to your wardrobe with pieces like: jackets, button downs, sweaters and other layers. This variety will allow you remix your wardrobe to your heart’s content so you’re all like: Bored with my clothes? Say whaaat? Are there any other challenges you think exist if/when trying to create a maternity capsule wardrobe? I’ve got to be honest, I recently have been researching capsule wardrobes and have fallen in love with Un-Fancy. Imagine my surprise when I stumbled on your page. 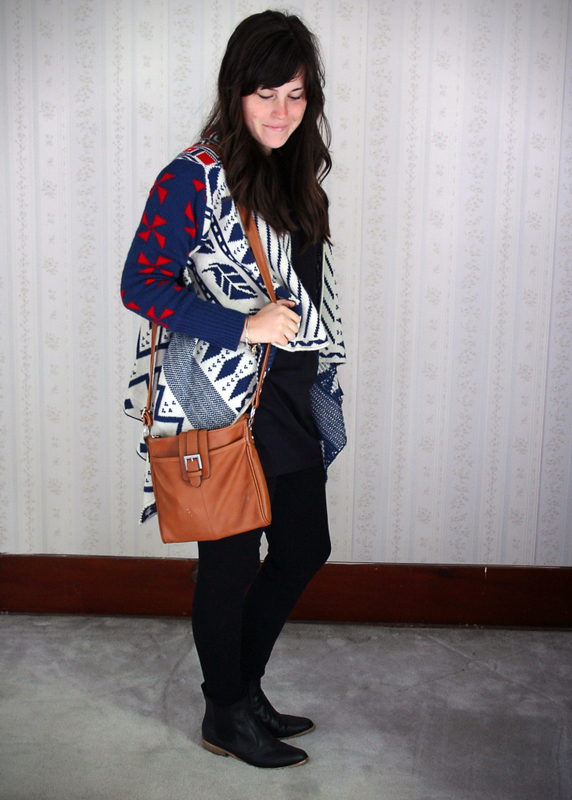 You’ve been “mostly Inspired by [her blog]” is an understatement. I’m not trying to be mean, but this is blatant plagiarism and I’m sure Caroline wouldn’t appreciate it. I hope you find your own voice and blog style. The outfits are really cute; you obviously are creative and stylish. First of all I appreciate your honesty. I am however surprised at your labeling my blog as “blatant plagiarism”. No one has ever described me or my work as such. I’ve always given (including on this blog) due credit wherever is credit is due and value that kind of integrity in general. I used the wording “mostly inspired” because in truth I have not been entirely inspired by Caroline (UnFancy) alone. Her depiction of a “capsule wardrobe” and her blog are what tipped the scales for me in deciding to commit to such an endeavor. Prior to encountering the UnFancy model, I first read about Project 333 (I believe the original inspiration for capsule wardrobes period) and the “40 Hanger closet” from Living Well, Spending Less — both excellent sources you should check out if you haven’t already. These reads I believe planted the seed in my brain and by the time UnFancy rolled around I was like “yes please!” And ran with it. I am new to the style blog scene — if you couldn’t tell. If you’ve checked out the rest of my blog you’ll see that up until recently I’ve been mainly about food + farm + babies. I’ve decided to give this style thing a try. I’ve only recently started blogging about my capsule wardrobe experience and have heavily relied on the UnFancy model. To me that went with out acknowledging, but as a regular reader of the UnFancy blog I wasn’t concerned about making the formatting of each blog post my own. I’ve never gotten the impression that Caroline even finds this idea her own — but more so that she’s concerned about inspiring others to pursue it and then run with it. I’m sure as time goes on it will morph based on my own needs, but for the purpose of experimenting I found her style blog post format to be simple and easy to digest — and therefore decided not to reinvent the wheel. You may be right about the blog style overall. I’ve recently been toying with some new themes/formats that are more conducive to my blogging structure/format and have recently even tried out the simple theme used on the UnFancy blog itself. I’m not sold it’s me, so I’ll probably continue on experimenting. That’s really all a girl can do. I must admit here that the only real part of your comment that actually troubled me was the part where you said that you hope that I “find your [my] own voice.” The voice I use when writing this blog, my voice, has never wavered or been compromised based on what ideas I’m experimenting with. People that know me and read my blog always tell me that “it sounds exactly like me talking.” Again, this is something I truly pride myself in and will never make concessions. If you find that when you’re reading posts of mine that “the voice” sounds similar to that of Caroline’s, I would say then it’s likely we have similar personalities and/or senses of humor — and I say “likely” because I unfortunately have never had the pleasure of meeting her! Also I appreciate that last bit of encouragement — I will continue to pursue my goal of using my surroundings (and Pinterest) to inspire creative and stylish outfits that fit my lifestyle and feel true to me. 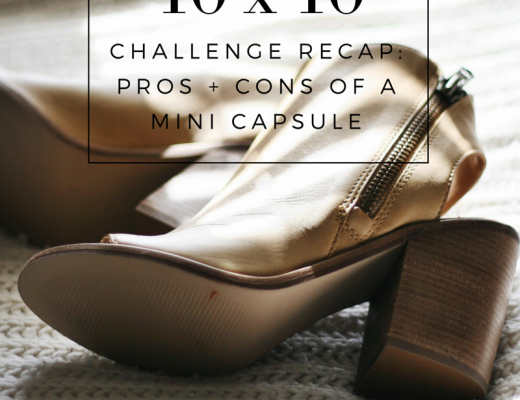 I hope you stick around and good luck with your own capsule wardrobe journey! Classy reply to someone hiding behind their computer screen. 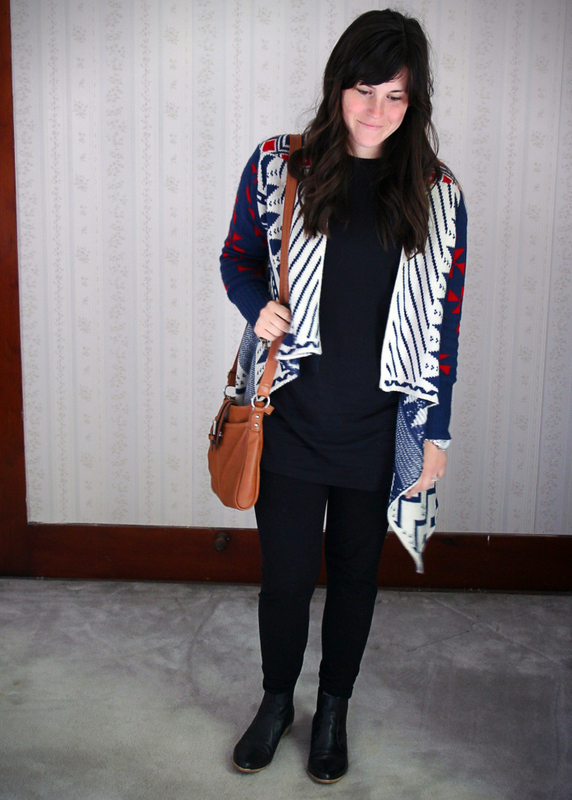 Keep doing what you’re doing, your maternity wardrobe is extremely helpful! Thank you Shannon, that means a lot. So glad my maternity capsule(s) were of help to you!! Working on my maternity capsule now and I will be sure to share. Thanks for the great inspiration. And I hope you didn’t take that original commenter to heart–Your maternity ideas are innovative! And I think we need to see lots of examples of general capsules in order to find our own way. Love it, thanks! Thanks Denaye! I feel exactly the same way about sharing to find our own way — still working on my own really. I look forward to seeing your take! Ah! I am so glad I found your blog! I am pregnant with my first child, and I’m the first of my friends to have a baby. Needless to say, we’re all clueless around here! I’m headed out on a clothes shopping trip today, and I’ll be referencing this blog post along the way. Keep up the good work, Laura! I read the first comment on this post, and I just want to remind you that all people are inspired by other people. We’re relational. We relate…that’s what human beings do. Anyone that claims that they are totally “original” doesn’t understand themselves. Keep being creative and keep growing! You’re doing a great job inspiring others! Congrats Hannah! What an exciting time. :) I feel ya on being the first in the bunch #fistbump ;) And thank you so much! I simply want to tell you that I am just all new to blogging and definitely liked this blog site. Most likely I’m want to bookmark your website . You absolutely come with incredible stories. Thanks for sharing your website page. You absolutely come with tremendous stories. I am so glad I found your blog! I am pregnant with my first child. I’m headed out on a clothes shopping trip today, and I’ll be referencing this blog post along the way. Thanks for sharing such a informative article. P.S. I’m hoping to actually publish another maternity capsule wardrobe piece that I’ve been working on today — wish me luck!